Major Drilling Group International Inc. is one of the world's largest drilling services companies primarily serving the mining industry. Over the years, the company has positioned itself as one of the largest specialized operators by leveraging its main competitive advantages: skilled personnel, specialized equipment, robust safety systems & long standing relationships with the largest mining companies in the world. Makami Engineering Group Ltd. sustains a diverse portfolio of projects and continues to expand throughout North America. Our Professional Engineering Services include: Structural Engineering, Mechanical Engineering, Welding Engineering and Inspections, Structural Steel Detailing (fabrication drawings), Finite Element Analysis (FEA), 3D Laser Scanning and Laser Tracker. With both local and international clients, we service heavy industrial and commercial markets at every stage, from initial concept and project feasibility to detailed design, construction review and commissioning throughout the world. Makita Canada Inc. commenced its operations in Scarborough, Ontario in 1973 and relocated to Whitby, Ontario in 1982 where a 52,000 square foot facility was established. Since then, Makita has evolved into a leading designer and producer of an extensive range of portable electric, cordless and pneumatic power tools as well as a gasoline-powered line of outdoor equipment that includes chainsaws, line trimmers, generators, power cuts and water pumps. 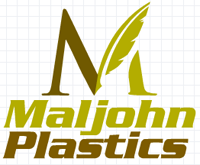 Maljohn Company Limited specializes in industrial plastics. We manufacture and supply plastic & plastic products for industrial applications. We are specialized in ultra high molecular weight plastics. We stock a variety of types and thicknesses of materials and products. Manitoulin Transport is one of Canada’s leading transportation and logistics solutions providers with over 40 years in the mining industry.Services: LTL/TL, transborder, intermodal, private fleet, guaranteed service, temperature controlled and dangerous goods. Coverage: More than 60 Canadian terminals and 250 US centres. Technology: 24/7 on-line shipping assisted portal. Mansour Mining is a leading manufacturer of integrated ground support solutions, smelter hardware, rock drilling tools and mine ventilation for hard rock mining. Supplying the underground mining sector for over 40 years, Mansour focuses on quality, safety and innovation. Mark’s Commercial - a head-to-toe resource for industrial workwear, safety gear, PPE, uniforms, corporate apparel and accessories. It’s our job to help you find the right clothing and safety gear to outfit your entire team using our fulfillment methods including wholesale programs and online ordering. McCann Equipment Ltd., carries an extensive inventory of Torque Tools and Torque related equipment such as hydraulic, pneumatic, hand & electric torque wrenches. We also operate an ISO-17025 Accredited calibration facility. McDowell has the largest stock of new, used, rebuilt underground & surface equipment. Parts for all makes. Rental fleet includes Trucks, Loaders, Dozers, Compactors & Compressors. In business since 1968. McEwen Mining has the goal to qualify for inclusion in the S&P 500 Index by creating a profitable gold and silver producer focused in the Americas. The company’s principal assets consist of: the San José mine in Santa Cruz, Argentina (49% interest); the El Gallo Gold mine and the El Gallo Silver project in Mexico; the Black Fox mine and the Lexam projects in Timmins, Canada; the Gold Bar mine in Nevada, currently under construction; and the large Los Azules copper project in Argentina, advancing towards development. Rob McEwen, Chairman and Chief Owner, owns 24% of the company.